Ya know, it somehow just doesn't seem right ... you go away for a couple of days to rest and recuperate, maybe get the creative batteries recharged, give your overworked fingers a break, and while you're gone the Queen of Memes tags you with a meme. The Queen, mind you - not just a fellow blogger that you think maybe you can fool by just "forgetting" to the do the meme until enough time goes by and you hope they've forgotten all about it. Oh no - this is a tag from a woman with a dungeon for pity's sake! And who knows what sort of devices of torture she has down in that dungeon of hers? She might poke you with the Soft Cushions or worse yet make you stay in the Comfy Chair until lunch time, with only a cup of coffee at eleven. Oh the horrors! The horrors! Go to the Cancun Mexican Restaurant in Stockton, California and order a #13 then enjoy every single bite of it! "American Base to Car ____"
"Amanda, how many times have I told you ...?" "I feel like Death eating a cracker." "I really don't want to get out of bed this morning!" "Amanda, I thought I asked you to empty the dishwasher?" "How is it that I work all this overtime and we're still broke?" "Surrey With the Fringe on Top" - Oklahoma! 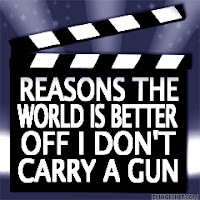 Dispatchers could never have guns - electronics are expensive! Sometimes I scare easily and accidents happen! A good cup of coffee in the morning! Comments on my blog posts! I am pretty picky about who I call "friend"
T'would seem that I should now tag a few other folks for this one but I think I'm going to cut everyone a break and let you tag yourselves should you so desire. You can let me know if you do, though, as I'd love to see your answers! 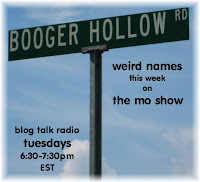 Don't forget to tune in to The Mo Show tomorrow night at 6:30 p.m. EST on Blog Talk Radio for what's sure to be a lively discussion on "Weird Names". If the conversation goes in the direction that it did when this topic first came up in passing two weeks ago then there are sure to be a lot of chuckles, snickers, and outright guffaws! Whether you live in Aces of Diamonds, Florida - Dead Woman, Wyoming - Mianus, Connecticut - Spread Eagle, Wisconsin - Rough and Ready, California or somewhere in between be sure to join Mo and his lively band of call-in cohorts on The Mo Show! 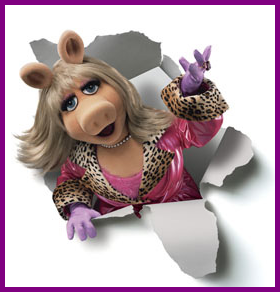 You can dial in, IM a message via Yahoo!, or be a lurking listener! Can't catch it live? 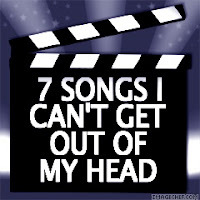 Not a problem - all shows are archived! Caution: consumption of liquids is highly discouraged during The Mo Show unless you enjoy snorting them out your nose! Who knew that seven weeks could pass so quickly? It just hadn't seemed that long since Jamie had arrived home for the summer (despite the constant bickering between herself and her sister) but it seemed that all of a sudden the day had arrived for her to board a plane and join her father and stepmother at her new home in Florida. After making sure that she had everything packed and ready to go, we went to pick my mother up to make the trip to the airport with us. While at her house I figured it might be nice to get a picture or two of Jamie and her grandmother as well as Jamie and Amanda before we headed out. .. until I reminded her that Jamie would be leaving in a short amount of time and this was the last picture I would be taking of them together this summer. 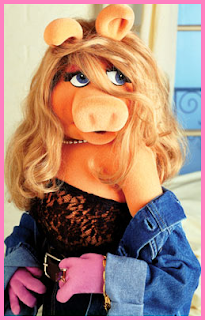 Somehow that did the trick for her though not Jamie! 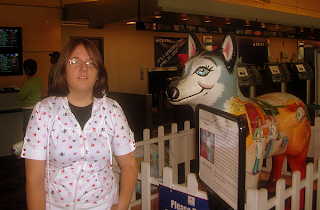 Once we got Jamie checked in with Southwest it was time to make our way through security and head down to the gate but first I had her pose near the new painted Husky that the airport was displaying. Some places have painted cows - we in Connecticut have Huskys as that's the name of the sports teams for the University of Connecticut. You might have heard of them? The basketball team has won championships before ... though not recently. Now those of you who have been regular readers of my blog know that one of the things that I have moaned and groaned about a lot when it comes to this whole flying process with Jamie has been the outrageous fees that the airlines charge for unaccompanied minors. Sometimes the fee has been higher than the actual cost of the ticket which just doesn't seem right to me. I consider that to be legitimate griping! Am I wrong?? Well now that Jamie is living near Tampa, the problem appears to be solved as Southwest Airlines (bless their low-fare hearts!) offers non-stop service between Bradley International and Tampa International so I no longer have to pay that ridiculous fee. Southwest accepts children over the age of 11 without an accompanied minor fee and they still let an adult go down to the gate with them to make sure they get on the plane as well as allow an adult to meet the plane on the receiving end. All without charging $75 to do it! 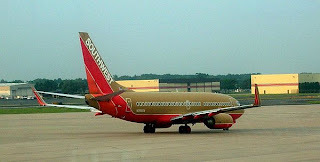 I definitely ♥ Southwest! For Jamie, though, this was the first time she had ever flown unaccompanied so she wasn't sure how she was going to handle not having someone direct her on her flight! 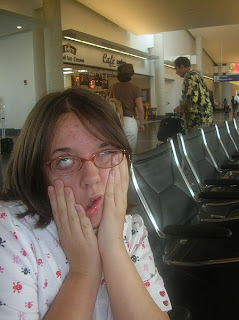 As it turned out, of the 49 people on her flight there were 4 other unaccompanied minors so I was sure that Jamie was going to be fine once she got to Tampa even if her father hadn't managed to get down to the gate to meet her. Apparently Tampa has got a much larger airport than Hartford does (not a surprise!) and there's some sort of tram system that gets you to baggage claim that sounded somewhat intimidating to Jamie. However, I was hopeful her Dad would meet her at the gate. Still, it made her feel better to know that there were other kids on the flight who might feel a bit lost, too. It also made me feel a little better as I watched other parents wish their children a tearful good-bye but I can't decide if I prefer "safety in numbers" or "misery loves company" on this one! I stayed at the gate and watched Jamie's plane taxi out onto the runway before I pulled myself together and finally made my way back out through security where Amanda and my Mom were waiting. I've got to admit that the car ride home was a lot quieter with just one kid in the back but it just seemed like there was something missing and it seemed even more so when we finally got home to what felt like a much emptier house - to me at least, I don't think Amanda really noticed. When Jamie called at 9:45 to let me know she was safely on the ground and had been met at the gate by her father I was finally able to let out the mental breath I had been holding and heave a slight sigh of relief before I went upstairs to bed - still attempting that bit of poise and rationality. 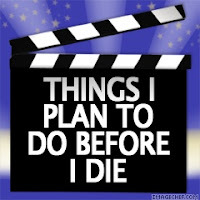 I'm taking the next four days off from work as the date for Jamie's departure for Florida fast approaches and because of that, I have also decided to take the next few days off from blogging as well. 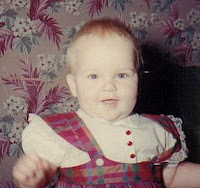 Today is my blog's first birthday or blogaversary (your choice of term!) and to that end I have written a "Year in Review" post which follows this post for your reading enjoyment - I hope! 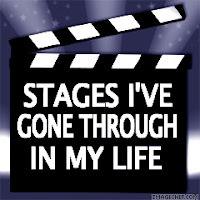 I've provided links to a lot of my older posts in case you weren't around for those parts of my journey and missed them or would just like to stroll with me a bit down Memory Lane. It's been a fun year and I, for one, am flabbergasted that I managed to crank out 365 posts - not counting these two! 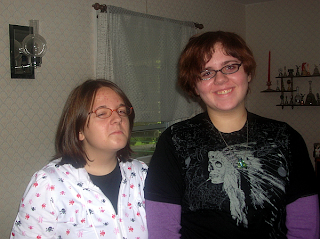 Thursday is Jamie's 14th birthday so I'm hoping we'll be able to do something special that day though right now the most special thing I appear to be doing is restraining myself from knocking both of their heads together! It seems that the closer Jamie's leaving comes, the more she and Amanda bicker with each other and as I'm really no Super-Mom at all but just a regular Mom it's playing havoc on my already stretched-tight emotions. Trust me when I say there will be a lot of silent cursing towards the direction of Florida these next few days as I once again battle frustration at the ex for ever having put me in this position by moving out of the area. Of course, he would counter that I put myself in this position by wanting a divorce but that isn't going to stop my inner grumblings. 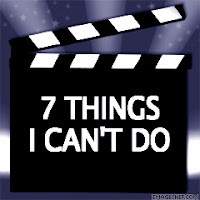 Other than that, nothing special is on the agenda except for housecleaning, packing, spending time with Jamie, and gnashing my teeth. I'm just going to try to take each day as it comes and see what it brings. I'm sure I shall miss you all greatly while I'm on hiatus but I promise to catch up with your blogs upon my anticipated return on Sunday. In the meantime, everyone have a great week and think of me fondly if you think of me at all! 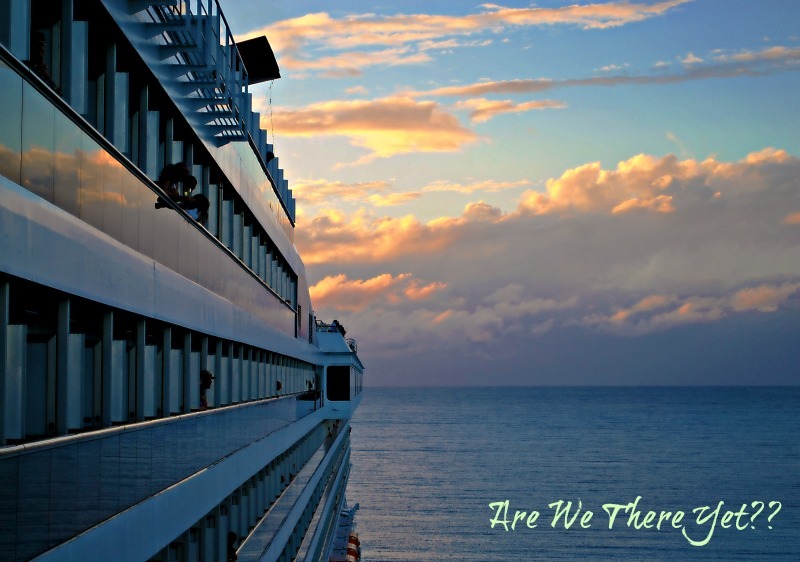 One year, 365 posts, and over 32,100 visitors ago I launched Are We There Yet?? 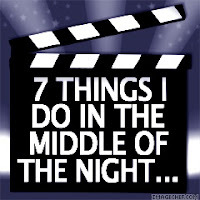 into the Blogosphere with this very first post. 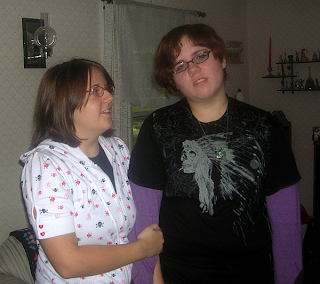 I basically had no clue what I was doing. Since then I've improved a bit but get the distinct feeling that it's always going to be a learning process. I started out with a basic blogger template (one of the green ones to be exact) but then unveiled my new personally designed template with this post on December 10th, 2006. 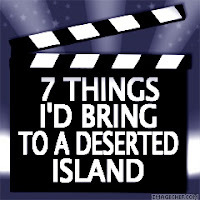 I had wanted something more personal - more stand out - and I got exactly that from Se7en of Blogs Gone Wild! All six of my commentors at the time voiced their approval and "Super Mom" was born. Thank you once again, Se7en, for giving me some personality! 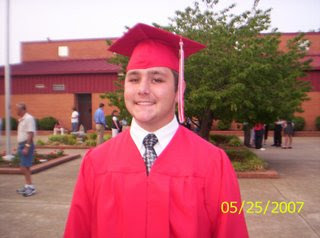 From August 21st, 2006 with a post titled "Early to bed and early to rise, makes a man healthy wealthy and wise." 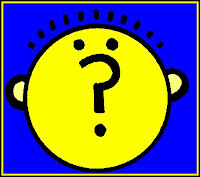 until January 29th, 2007's post “The wisdom of the wise and the experience of the ages, may be preserved through quotations.” I gave every single post a title in the form of a quote. I love a good quotation but sometimes it took me longer to find the quote than it did to write the post so in an effort to save myself some time I switched to using a quotation as a title only occasionally. Old habits certainly die hard! Wednesday, January 3rd, 2007 saw my very first Wordless Wednesday post which was a picture of my son and grandson that you can see here. For those who were totally surprised that I had a son and a grandson this is proof positive that I had mentioned them previously! My first Saturday Photo Scavenger Hunt was this post on January 13th, 2007 which gives a lovely view of the dispatch center I spend a good part of my life in. If you look closely you can see the dents in the counter where I have beat my head numerous times! Amanda's artwork first appeared on August 15th, 2006 in this post and hopefully she will continue to allow me to post drawings as she improves by leaps and bounds all the time. I'll have to have her do a "first anniversary of being displayed on Mom's blog" drawing! I'm pretty sure I can talk her into it though I've only got a little less than a month to do it and I've found you can't rush the artistic or it brings out the angst in them big-time! The very first time I ever tried my hand at a meme was on September 21st, 2006 and you can read it here if you'd like; it's not your standard meme or what you might be used to seeing as the theme of this particular meme was: What is written on the 5th through 8th sentences on page 123 of the book nearest you? I was tagged by ECR of 24/7 for that one and I really enjoyed doing it. During the course of the past year I have been awarded with numerous badges and awards that decorate my sidebar and which will remain there as a thank you to those who took the time to recognize my blog in one form or another. I am honored and touched by all of them and am still somewhat amazed at the number. As Sally Field might say "You like me! You really, really like me!" When I began this blog a year ago I had no idea how very big the Blogosphere was - heck, I had no idea there even was a Blogosphere! - or how very many wonderful people there were in it. I have made some wonderful friends over the past year - people who mean the world to me and who I can't imagine my life without at this point. My blogroll seems to grow every day with more and more fantastic bloggers. One of my regular commentors who is also an EMT at the company I work for, spent some time visiting me in dispatch the other evening and we got to talking about some of the terrific people I've met through my blog and who he, through me, has gotten to know a bit also. Bulldog doesn't have a blog himself but he has been one of my greatest supporters since day one - something I think the man deserves a medal for! - and he understood completely when I told him how much the people I've 'met' through blogging have become such a large part of my life. 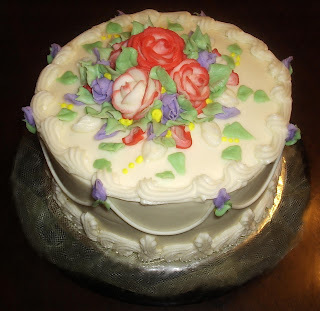 I'm not throwing a pity party for my blog's first birthday party but as I told Bulldog, I don't have much of a life outside of work and being a Mom so my computer and the wonderful people I have met through it are a major part of my life. I thank you all for your support, for your encouragement, for your comments, for the laughs, for the tears and for being my audience but most importantly for being my friends. I love you all and I hope you'll stick around for the continued journey as I still try to find out Are We There Yet?? Now what's a party without some cake? Everyone dig in and, just for Miss Bee, I took the calories out so you have just as many pieces as you'd like! As soon as I'm done with my three pieces I guess I'd better start thinking about what I'm going to write about for the next year! 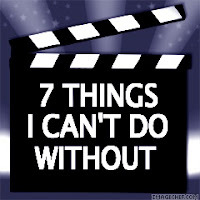 I apologize in advance for the length of this post but there are a bunch of things I've been meaning to get to and just haven't had the chance due to the fact that I write too much about other stuff most of the time! 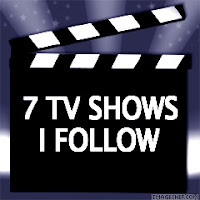 Because of that, I am throwing a veritable cornucopia of stuff at you with this post! These awards are part of a series of five blogger awards that were developed by Christy Z. of Writer's Reviews which can be found here. In addition to these two awards Christy has also developed The Inspriational Blogger Award, The Courageous Blogger Award, and The Charity Blogger Award. I am quite flattered that Joan felt I was qualified to receive both of these honors but I'm not so sure about that myself! The Thoughtful Blogger is "for those who answer blog comments, emails, and make their visitors feel at home on their blogs. 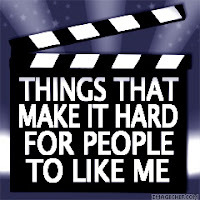 For the people who take others feelings into consideration before speaking out and who are kind and courteous." Whereas I do try to make visitors feel at home here on my blog there are probably those who might differ when it comes to me always taking others feelings into consideration before speaking out - though I do try to be kind and courteous most times, I know I can sometimes be a bit outspoken and passionate about those things that matter to me. It's part of who I am and I can't apologize for that. The Creative Blogger goes to "those who bring unique and creative elements to their blogs. 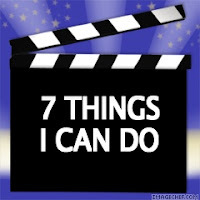 For those who incorporate art, music, creative writing, photo's, and other beautiful visual effects into their website. For those who put a unique spin on things and come up with new ideas. This award is for the artsy, the funky, the inventor, and even the rebel. This award is for those creative individuals who stand out from the crowd." I do try to be as creative as possible even though I am not an artistic person, that particular talent goes to Amanda! But I'd like to think that I attempt to throw some creativity in here once in awhile and Joan apparently thinks so also which means that I am going to take my award and say 'thank you'! For those bloggers who inspire others through their words and actions. With a positive attitude, and an uplifting spirit these bloggers make the blogosphere a better place, and encourage others to do the same. This award is for bloggers who rise up to set an example but continue to reach out and support others. For those bloggers who are battling or have battled with physical and mental illness, those who are survivors of abuse, poverty, or who have overcome other challenges in life. Those who serve in the military or work/volunteer in dangerous situations in order to provide a service or to help others. This award is for the strong, the brave, and the courageous. "For those who bring unique and creative elements to their blogs. 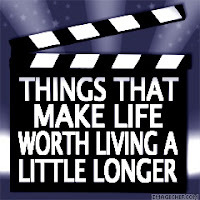 For those who incorporate art, music, creative writing, photo's, and other beautiful visual effects into their website. For those who put a unique spin on things and come up with new ideas. This award is for the artsy, the funky, the inventor, and even the rebel. This award is for those creative individuals who stand out from the crowd." Ladies and gentlemen, you are more than worthy of these awards and I am happy to present them to you. For those of my readers who are not familiar with the above blogs and their authors, I urge you to go read a bit of them and you'll see why I've chosen them. Hopefully you will admire them as much as I do! Okay next out of the horn - the announcement of the upcoming blog carnival at Blog Village where yours truly as submitted a post from last July. The carnival is being hosted by Texas RV Travel Blog beginning on Monday, July 30th and can be found here. Stop on by for what is sure to be some great reading! Tumbling out next is a shout-out to my friend Ed over at The Pisstakers who is finally back up and running after having some hard-drive problems. Get your minds out of the gutter people - it was his computer! Just a reminder that Ed takes a screenshot of the last 10 MyBlogLog bloggers to visit his blog every Sunday morning sometime around 10 a.m. or so and if the lucky 10 also leave a comment with a link to the best post of the week on their own blog, they will receive a "slightly witty mini review". It's a great way to get a little linky love (I told you his hard-drive was fixed, didn't I?!) 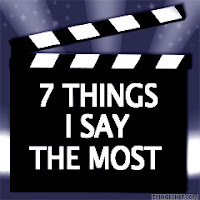 as well as toot your own horn a little bit about what you think was your best post of the week. I submitted my post What America Means to Me as mine and Ed graciously gave me 5 stars for it! I was psyched, to say the least! Stop on by, tell Ed I said "hey", and browse a bit - he's got some good stuff over there! 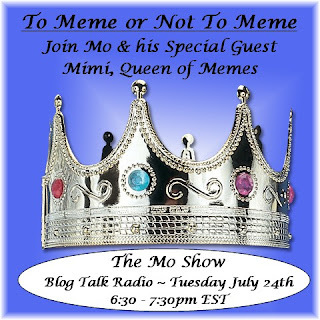 Finally last out of the horn - but never least - is a promo for my friend Mo's upcoming blog talk radio show tomorrow night with special guest - Her Majesty Mimi, Queen of Memes! 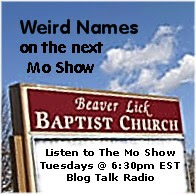 The Mo Show will be talking about memes, memes, and more memes tomorrow evening and I hope you'll be there as we learn about proper meme etiquette, the punishments available for those not responding to a meme tag, and just about everything else you ever did or didn't want to know about those pesky little things that make their way around the Blogosphere faster than rumors of Lindsay and Britney! Listen in, call in, or IM in and if you're lucky you'll be able to find out what Dixie had for dinner, too! There are probably a couple more things kicking around in that cornucopia but I think for now you've had about all you can handle for one post! Not just that but the truth be told, my fingers need a rest, too! Everyone have a great Tuesday and thanks for stopping by! Morgen of It's a Blog Eat Blog World and master of Manic Monday has decreed that 'Wind' is the theme of the week so I thought this would be the perfect time to roll out one of my very favorite musicals of all time - Man of La Mancha - a play which I have had the privilege of seeing twice with Robert Goulet playing the role of 'Don Quoxite'. Of course, this was back when I could afford to go see plays so obviously it's been a long, long time but it still remains one of my very favorites! For those not familiar with the play, Man of La Mancha is a musical in one act which tells the story of the "mad" knight 'Don Quixote' in the form of a play within a play. While awaiting a hearing by the Spanish Inquisition for foreclosing on a monastery, Miguel de Cervantes and his manservant are attacked by their fellow prisoners who then set up a mock trial as a means to take over the possessions Cervantes has with him. Cervantes asks to offer up a defense in the form of a play, which will be performed by himself, his servant, and the other prisoners, in order to be allowed to keep a manuscript that the prisoners are threatening to burn. The prisoners agree and Cervantes quickly transforms himself into 'Alonso Quijana', an old gentleman who has read so many books of chivalry that he has lost his mind and now believes that he should go forth as a knight-errant. 'Quijana' renames himself 'Don Quixote de La Mancha', and sets out to find adventures with his "squire", 'Sancho Panza'. Man of La Mancha is performed on a single set arranged to suggest a dungeon and all changes in location are created by alterations in the lighting and by the creative use of props supposedly lying around the floor of the dungeon. The reason this was done was to to encourage the participation of the audience's imagination in the enjoyment of the show and trust me - it works. In Miguel de Cervantes' book Don Quixote - first published in 1604 under the title The Ingenious Knight of La Mancha - the novel recounts the exploits of would-be knight 'Don Quixote' and his loyal servant 'Sancho Panza' who propose to fight injustice through chivalry. This would be part of that play within the play thing I referred to above as guess what manuscript Cervantes was trying to save from the prisoners? You got it, this very book! Ah-ha! This is all starting to come together, right? But still, what has this got to do with "tilting at windmills", you wonder? "Just then they came in sight of thirty or forty windmills that rise from that plain. 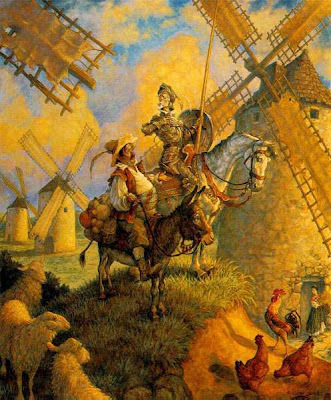 And no sooner did Don Quixote see them that he said to his squire, "Fortune is guiding our affairs better than we ourselves could have wished. Do you see over yonder, friend Sancho, thirty or forty hulking giants? I intend to do battle with them and slay them. With their spoils we shall begin to be rich for this is a righteous war and the removal of so foul a brood from off the face of the earth is a service God will bless." It was from this passage that the phrase "tilting at windmills" originated though the full form of the phrase wasn't used until towards the end of the 19th century. Basically the phrase describes an act of futility or, in other words, maybe just to dream the impossible dream - which is also a song from Man of La Mancha that you can enjoy by hitting the play button below. So, now that I have taken the very circuitous route around the word 'wind' today perhaps you'll excuse me as I've got a few windmills to go tilt at myself! 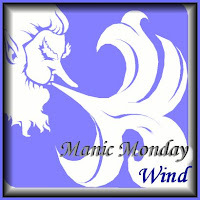 Have a great Monday - Manic or not! Today is going to be one of the toughest days in the life of my blogging friend, Dixie. Even though she has known for quite some time that this day was coming and has had plenty of time to prepare for it, that isn't going to make it any easier or any more bittersweet. Today is the day that Dixie's son, Matt, begins his journey to becoming one of the few and the proud as he ships out to Parris Island, South Carolina to begin basic training as a U.S. Marine. 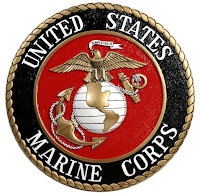 The United States Marines hold a proud heritage which began on November 10th, 1775 when the Continental Congress drafted a resolution to create a new military unit called the Continental Marines. This resolution was drafted in a popular Philadelphia inn called Tun Tavern and was later approved by the entire legislative body. Since then the Marine Corps has fought in every single American armed conflict, from the American Revolution to Operation Iraqi Freedom, where they have been revered and feared for their prowess in combat and their dedication to duty. The Marines are considered the world's premier warriors, head and shoulders above the crowd, and there is a very good reason for that. That very good reason lies in each individual Marine. A person doesn't join the Marines, though roughly 40,000 try each year; a person becomes a Marine through the ordeal of training that sculpts each individual in body, mind, and spirit. Once an individual has earned the title and enters the Brotherhood of Marines he or she then draws upon the legacy of the Corps - the legacy of honor, courage, and commitment. that make up the bedrock of the character of each individual Marine and this in turn makes up the foundation of the Corps. Each of these three values has been handed down from generation to generation and are what makes the U.S. Marines Corps the Warrior Elite - the most respected and revered fighting force on earth. Dixie's son Matt has chosen one of the most honorable paths that a boy can take on his way to becoming a man and though her heart will be breaking when she gives him that last hug and kiss good-bye, Dixie can take the ultimate pride in knowing that her son made a conscious and free decision to dedicate his life to the service of his Country and his fellow man. He leaves her today a boy and yet will return to her a man who has earned the right to stand tall as one of a few good men. I salute both Matt and Dixie for their service to our country. May God watch over them both not just today but always. Semper Fidelis! If you haven't already done so and would like to leave Dixie a message of support and encouragement, please go by Dixie's Heart & Soul and give her a big ole' OOH-HA for Matt! Tell her an ex-Airman sent you and couldn't be prouder! While all across America last night from Providence to Portland, Pensacola to Palm Springs, Portsmouth to Point Arena people were participating in parties praising and proclaiming the release of Harry Potter and the Deathly Hallows, Amanda was presiding over a pretty pathetic personal Potter pity party in which she was the only participant. Particularly pouty because she wasn't partying with the plethora of Potter partisans that she pals around with, she was also pretty petulant that perhaps her procurement of the precious Potter pages would be pretty prolonged due to our present pauper parameters. Whew! Read that paragraph over five times fast! 'Tis true, though, that Amanda has long been counted amongst those who suffer from Potter-mania and she was feeling a bit left out last night as one of her friends kept calling her from a book release party that she was attending in Atlanta. There were quite a few of the same type of parties being held here in Connecticut but despite the non-stop talk about the much-anticipated release of the seventh and final book in J.K. Rowlings extraordinarily successful saga of wizards and witches, I hadn't really given it much thought. You see - I must confess - I have never read a single Harry Potter book (wow, I can hear that gasp all the way over here!) 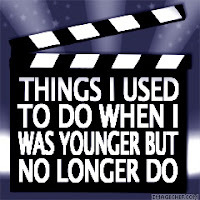 and have never been to one of the movies in a theater either. I have watched a couple of the movies on DVD with the girls but to be perfectly honest with you I wasn't paying a lot of attention then either. I'm lucky I can tell Hagrid from Hedwig and Dumbledore from Draco. Yes, yes, I know - I am such a muggle! Even though I'm not in the legion of Potter fans, I wasn't unsympathetic to Amanda's plight and just because I hadn't joined the thousands - nay, millions - who had pre-ordered the book didn't mean that I wasn't planning on getting it for her. However I had asked Amanda to do some artwork for me a long time ago (well over a month and a half ago) and she just hadn't gotten around to it as something else always seemed to take precedence. Figuring that if I dangled a carrot in front of her nose in the form of The Deathly Hallows might get her to finally, finally, finally do the favor I had asked of her, I told her that she would get the book when she was done with my artwork. I wasn't at all worried about being able to get my hands on the book as I was pretty sure that there were going to be more than enough copies to go around and I'd be able to pick one up at my local Wal-Mart Supercenter without having to wait in line for a single minute. Sure enough - turns out I was right. I had fully intended on going out to get the book today but I was feeling pretty awake at 12:30 last night (or was that this morning?) so decided to hop in the car and head over to Wal-Mart. I told Amanda I'd be back soon but didn't tell her where I was going, though I would have thought she might have figured it out on her own. Upon arriving at the store, I had no trouble at all procuring a copy off one of the two large flats of books that were sitting at the front of the store - stacks that looked like they had hardly been touched! When I arrived home Amanda was scanning another piece of artwork into the computer for her DeviantArt site but, of course, the picture I was waiting for was still in the "inking" stages and nowhere near done. Obviously she hadn't figured out where I was going because when I told her that "I have a book but you have no picture" she got quite animated and much squeeing ensued. A word of warning to those reading ... if by any chance you have something in your hand that a teenager who is bigger than you desperately wants, it might be a good idea to make the announcement from the other side of a locked door rather than within reaching distance of said teenager! I had to beat a hasty retreat to my room with Amanda in hot pursuit and let me tell you, it was quite the battle keeping that book out of her clutches! I finally had to put it under a pillow and sit on it in order to keep it away from her! Good grief, for an Emo-kid she sure was showing an awful lot of emotion at that particular time! She finally realized that I wasn't going to break down in my resolve and slumped downstairs in defeat to work on my picture while I went to bed with instructions that she could wake me when she finished the artwork. I had barely fallen asleep about an hour later when she came upstairs with what she claimed was the completed picture. Half asleep I looked at what she gave me, told her she was going to need to make some changes before it was totally acceptable, and then let her have her precious book. What's a mother to do? Anyhow, it's now just a little after 4:00 in the afternoon and she only has a little over a hundred pages left to go before she finishes the book. She's going to take a break from reading so that her friend in Atlanta can catch up but if I wanted to I could tell her how the story ends as I read the last page while waiting to check out at Wal-Mart (hey, I was curious!). But I won't - I'm not that much of a muggle that I would ruin it for her or anyone else! Hope everyone has a great weekend of magical reading! 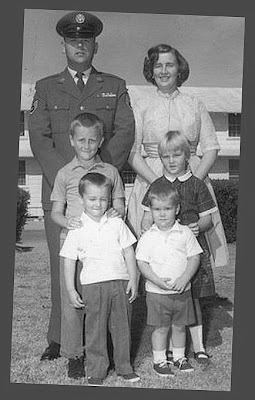 Once upon a time very, very, very, very long ago there was a little girl named Linda who lived at her beloved Grandfather's house with her mother and her older brother as her father was stationed overseas with the United States Air Force. 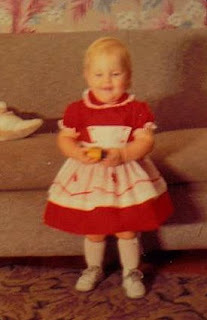 Linda's Mom used to make the cute little dresses that Linda wore and dressed her up "like a little china doll" because she was "just so cute". Linda's Mom has remarked jokingly that she "doesn't know what happened" and Linda agrees! Comparatively speaking, I used to be somewhat "tiny" but those days are long gone! For as long as I can remember I have been a patriot. I was raised as an "Air Force brat" for the first 16 years of my life moving from state to state and base to base while my father, a patriot himself, proudly served his country as an aircraft mechanic. He was barely seventeen-years old when he enlisted and was sent to Korea on a troop ship to begin what would become a 20+ year career. Many times during those years my mother was left home alone to raise four kids Stateside while Dad got sent to one remote duty location after another but never once - not even while reading letters written in my Dad's shaky script while sitting out a raid in a bomb shelter at Danang Air Force Base in Vietnam - did my Mom ever say that she wanted my father to get out of the military. Never once did she complain about the nomadic life that we lived or the lousy pay that Dad got; never once did she curse the Air Force or the government that sent my father into a senseless war and left her home alone to worry and wait. She could have but she didn't; instead she supported my father in every way possible. She was a patriot, too. Having two patriots for parents and growing up on Air Force bases and in military communities it's no wonder that I became a patriot also. At 1800 hours every evening traffic would stop all over the base while "Taps" was played and the flag was lowered; every Fourth of July there were fireworks and celebrations for our country's independence; at the base theater the "Star-Spangled Banner" was played and everyone stood before every movie started; and every year there would be an Air Show with all manner of planes on display as well as spectacular aerial shows by the Air Force Thunderbirds. I was proud to be a part of the military and I was proud of my father for his part in it; proud enough, in fact, that I followed in his footsteps and joined the Air Force myself arriving in boot camp just three short days after my high school graduation - only seventeen-years old just like my father before me. 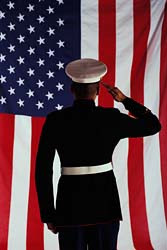 Even though I have been away from military life for a long time, to this day I still choke up at the playing of our National Anthem - whether it be at a ballgame or other sporting event, a memorial service, a concert, or even the end of a broadcast day on radio or TV. When attending a parade I get the same feeling and can't talk around the lump in my throat while watching the Honor Guard march by. I have even been known to shed a tear while watching fireworks displays on the 4th of July - please don't ask me to speak to you during the finale because I can't! I am proud to be an American and that pride has never faltered even though I don't agree with the direction things in this country are currently heading. It has become standard operating procedure to insult our Government and those insults come not only from the "common people" but from those politicians we have elected to represent us. The very men and women that we have voted into office to speak for us in Congress or the Senate cannot seem to show a united front and that causes everyone else to be at odds with each other. While politicians jockey for position and undercut each other in their quest for the Presidential prize or to align themselves with the "popular side of the room", they send out a mixed message to the rest of the world; a message that does not show solidarity to those who watch and wait to destroy the country that many patriots like my father have fought for and died for these past 231 years. I know, though, that in spite of the arguing and disagreements the solidarity that we seem to be so sorely lacking does exist as I've seen it in action. On September 11, 2001 I watched in horror with the rest of the Nation while the Twin Towers in New York City were taken down by foreign terrorist actions. I stood in shock in front of my television set while the news media told of an additional attack upon the Pentagon and of a plane that went down in a remote field in Pennsylvania rather than into its intended target because its heroic passengers and crew chose to fight back against their hijackers. I cried as reports of the deaths of the brave men and women who rushed into those towers to save others were reported and I cried even more as the horrific death toll rose higher and higher. I was shocked and appalled and dismayed that such destruction could be visited upon one man by another. However when the smoke cleared and the country came together in a surge of National pride and brotherhood I was more than proud to be an American. I didn't have to run out and buy an American flag to hang out as I already owned one but I was happy - no ... thrilled - to see so many other flags now flying from cars, from houses, from office buildings, from every possible place. The words "let freedom ring" never sounded sweeter because they were spoken by people who truly meant them and who treasured that freedom and the men and women who fought and died for it as much as I did. The world had temporarily tipped on its axis but America was standing strong and proud and nothing or no one was going to knock us down. 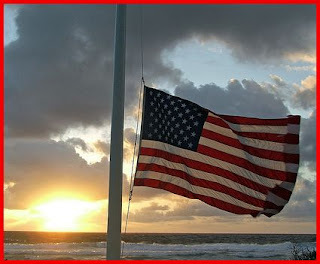 The memories of those dark days following 9/11 define what America truly means to me. We are a Nation whose people have the Freedom of Speech; the freedom to question and criticize our government, the freedom to ask "why?" and expect an honest answer, the freedom to enter into intelligent debate without fear of governmental reprisal, and the freedom to say "I disagree with you but I respect your different opinion as you should respect mine". We are a Nation that seems to be at odds with not only ourselves but with the rest of the world, however we are also a Nation who will pull together and defend our country like a mother bear defends her cubs if the situation warrants it. We are "free to be" and that's what America means to me. Note: This post was originally written as an entry for an essay contest on "What America Means to Me".